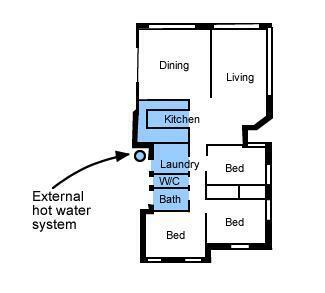 How is plumbing installed in houses? Rooms where hot water is needed are often clumped together to reduce the length of piping and improve efficiency. There are many facets to plumbing, which can complicate matters - particularly when you are looking to buy or build a new home. The best way to explain how plumbing is installed is to go through what needs to happen, from start to finish. Even prior to purchasing a block of land some plumbing enquires can be made. For example, your builder may contact various authorities regarding water, power, gas, drainage and sewerage to see if these facilities are provided for where you plan to build, and if there are any issues or special considerations that will need to be accounted for. For example, whether or not services for water will be supplied by a private main or by a body corporate subdivision - this will affect who is responsible for the ongoing maintenance of the services. Also to check if there are any outstanding or special fees and so forth. 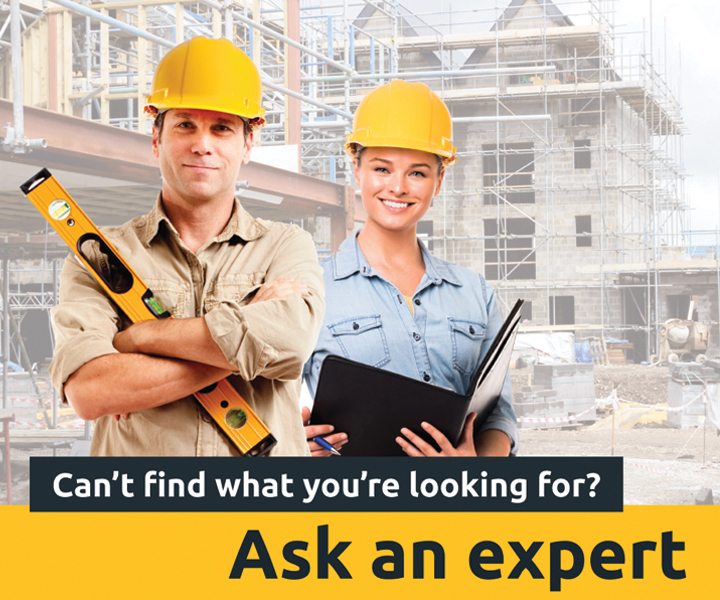 In the case of renovations to an existing building, you should check to see if any additional building works or extensions have had the necessary permits. You should also check to see if there is an as-constructed sewer plan provided to the water authority for original and additional underground sewer drains. If possible, you should contact a trusted plumber - or contact your local council, water authority, or even your local plumbing supply shop to see if they can recommend a qualified, reputable local plumber. Another way to find the right plumber is to consult your local state Master Plumber Association, to which many plumbing contractors (business owners) belong. Getting someone who'll do the job properly is particularly important for plumbing. Plumbing repairs can be extremely expensive if, for example, underground works need to be repaired, rectified or brought up to regulations. Once you have the necessary information regarding permissions and so forth, the next step is to talk to a builder or plumber. If you're building from scratch, the builder will usually already know a licensed plumbing contractor and will know the best (and most convenient) ways to arrange things. Presuming that the basic house design has already been considered, you may want to consult with the builder and plumber about your various options, including the type of pipework to be used (i.e. copper or plastic), the hot water system(s) you'd like, the heating system, the style of spouting/gutters and downpipes and so forth. If you're renovating, you may need to consider where fixtures will be positioned. If you're adding an ensuite, it's always wise to consult a plumber at the design stage. If you're installing a big watering system for you garden, discuss your options with your plumber. It may require a dedicated reticulation system which incorporates an anti-backflow valve. Whatever you're planning, make sure you're clear right down to the fittings well before the plumber does their quotation. One work has started, any changes are likely to be expensive and inconvenient - especially if they require any changes to work that's already been done. Something as simple as the tapware you choose can change all the requirements for the water pressure, which in turn can require different pipe diameters and so forth. Once the underground piping is laid for your underground sewerage pipes and storm water drains, they will be tested for water tightness. Once that's done, the site will be backfilled - that is, covered back over with the earth that was excavated in the first place. It's particularly important that this is done carefully - rocks or debris backfilled into the trench could settle and eventually damage the buried pipework. In some instances there should be consideration to the type of backfill used. For example, if lumpy clay has been excavated then the first 300/500mm of backfill should be loose, sandy earth, and if it is intended that concrete is to be placed over the top, compacted crushed rock should be considered - especially for deep excavations. Using the wrong backfill can lead to driveways and paths moving, and garden beds falling in. Depending on the fall of land, weatherproofing may need to be carried out (e.g. behind a retaining wall, in a patio area or if a lower room or basement is involved, waterproofing/tanking in conjunction with agricultural drain-lines). Flashing on roofs, patios etc. will also need to be properly installed, and so will gutter overflows in places that experience heavy rainfall. This is especially important for concealed gutters. Your plumber should know whether local building regulations require special guttering or eaves which prevent overflowing water from eaves/gutters from entering the building. If the local regulations do require this sort of guttering and your house is damaged because it doesn't have it, you might not be able to claim on insurance. Once every aspect of your plumbing is in place, everything will need to be properly tested. This includes all water supply, sewer, stormwater, gas, greywater and rainwater systems. This testing is carried out by the plumber responsible for his/her particular area of works. This may be just the one plumber, or it may require several plumbers with different specialisations. Once the testing is complete, you should be presented with a Certificate of Compliance ticking off all relevant areas of responsibility. This is your warranty of correct and compliant installation, and is supported by the regulator and the plumber’s insurance, required under ministerial order. In most cases if everything's carried out and properly tested and certified, you can expect your plumbing to work perfectly.